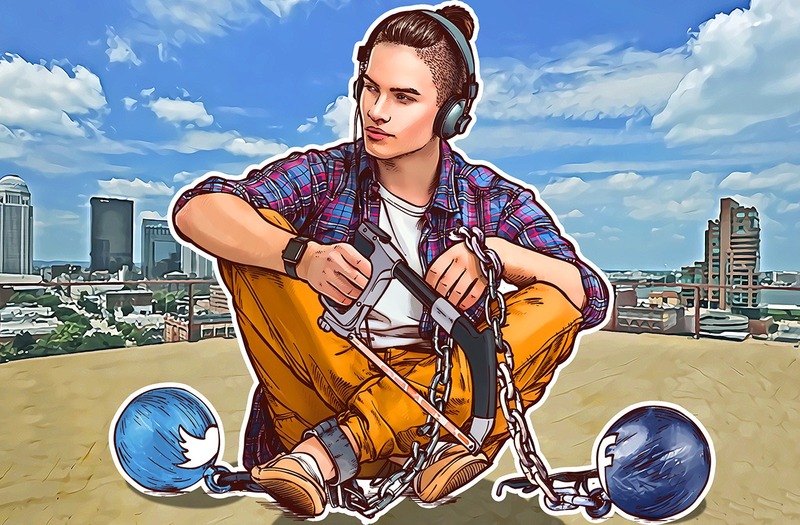 Research conducted by cybersecurity firm Kaspersky Lab shows that the vast majority of people want to leave social networks, often because they are a waste of time. According to the survey, people only stay on social media such as Facebook, Instagram etc. because they fear losing digital memories and contact with their friends. Keeping in touch with friends may be a difficult problem to solve, but Kaspersky Lab is working on a solution to help people save their digital memories. An app called FFForget, will allow people to back up all of their memories from the social networks they use and keep them in a safe, encrypted memory container. The app is expected to give people the freedom to leave any network whenever they want, without losing out. Previous research has highlighted a strong tendency for people to use digital devices as an external part of their memory. Studies have also demonstrated that people cannot resist checking their social media conversations and status updates on their phones. However, this latest survey indicates that users are actually self-critical and aware of their fixation – 39% of respondents said they believe they are wasting time on social networks. Nearly 78% even stated that they have already considered leaving social networks behind them. Despite an inclination to leave their social networks, people are compelled to stay. A vast majority (62 %) believe they would lose contact with their friends if they left social networks. 21 per cent of respondents were less worried about their friends, but were afraid they would not be able to recover their digital memories – such as photos – once they had left a social network. “Social networks can be a benefit or a hazard. If they are a benefit, it’s not our problem. We believe that every person has a right to freely decide which platforms to use or to leave at all times. True digital freedom is not a matter of having to make sacrifices. We want people to get back in the driving seat by being able to own an encrypted copy of all their digital memories at all times”, says Evgeny Chereshnev, Head of Social Media at Kaspersky Lab. “With FFForget we want to create a solution which keeps people from being afraid of losing their memories to account damage or hacking attacks. And most importantly – people using the app would win back their right to quit any social network at any time without losing what belongs to them – their digital lives,” adds Chereshnev. FFForget is planned for 2017. Interested users can register at ffforget.kaspersky.com to give feedback and influence the scope of the app. They will also get updates, insights and early access to the public beta when it will be available.